The “megalithic civilization” in Western Europe is still a civilization that is ill-understood, if only because it has suffered from decades of scientific neglect. At present, some of the answers about the monuments they left behind is becoming clearer, but questions remain as to who this civilization was, and what became of them. The megalithic civilization has only in recent years become the subject of serious scientific investigation. Previously, it seems that most archaeologists preferred the warmer climates of Egypt and the Middle East to identify our forefather’s past. After all, was that area not the cradle of civilization? In retrospect, the answer suggests it is not, for once the megalithic monuments were subjected to dating, some were found to be much older than their counterparts in Egypt. Some of the problem between megalithic Western Europe and the civilizations of the Middle East is a question of prior interest. We have the Bible, the pyramids and tales of the ancient Gods. Europe only seems to have Stonehenge. Europe has stories of how the Romans came and conquered the local population, leaving a less than impressive accounts of what for a long time were believed to be the megalith builders. It once again took well into the 20th century before it was realized that the megalith builders were as far removed from the Romans as we are… and the earliest megalithic builders more than twice that amount of years, predating the construction of the pyramids. This picture also threw the entire debate of what came first on its head. Civilization was thought to have spread from the Middle East. But redating of the megalithic monuments indicated that it could have been the other way around – even though no-one has ever suggested this. There are various reasons for this. When in the early 20th century it was suggested that the Egyptian civilization was created by “white men”, this was seen as either evidence of the foolish theory of Atlantis, or of racism on the part of the person expressing that opinion. Though there is nothing to indicate that “white men” did indeed create Egypt, the intriguing conclusion of the available evidence is that they could have been. Furthermore, “megalithic Europe” communicated with each other via the shores, using boats. Barry Cunliffe has labeled it “Facing the Ocean”, as most of the people traveled along the Atlantic shores of Western Europe, reaching from the Orkneys in the North, to Morocco in the South. Thus, they had the boats to enter the Mediterranean Sea and “seed” civilization there. Whether the enigmatic megalithic structures of Malta should therefore be seen as an influence from the west or the east is a good question - and the most likely answer might be that it was influenced from both sides, resulting in the unique structures the megalithic temples of the island have. Despite making progress, little is still known about “the megalithic civilization”. Megalithic literally means “large stones”, and thus the civilization is identified by the legacy they left… and which in Western Europe was often the subject of violent destructions in the 16th till 19th century, when terrain with megalithic remains were often reclaimed for agricultural purposes. The destruction or burial of stones, including those at Avebury, makes the search for purpose and interpretation of the sites more and more difficult. 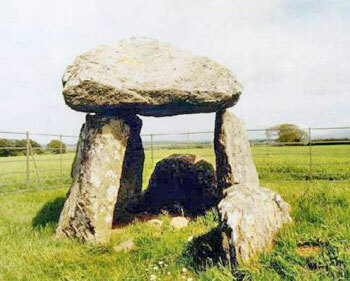 Today, megaliths seem to have survived more in desolate locations – unless they are of the magnitude of Stonehenge and Avebury, which were outside of all proportions that the largest stones remained intact. 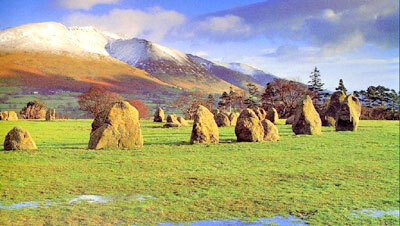 But finding megaliths on the slopes of mountains in the Lake District and not in the centre of London should not lead one to conclude that megaliths were built in inaccessible locations; more that those in the centre of London were probably raised to the ground by Roman if not earlier times. Major inroads into the megalithic civilization were created by Gerald Hawkins and Alexander Thom. Hawkins stated that Stonehenge clearly displayed astronomical knowledge and hence concluded it was a calendar. Archaeologists disagree with the calendar, but do agree that the alignments of Stonehenge are there because the builders had specific ritual festivities at the main events of the sun: the equinoxes and the solstices. Thom concluded that many of the lesser known monuments also had stellar alignments; and his research occurred largely in Brittany, thus showing that the astronomical component of the megalithic structures seemed at the core of the building of the monuments itself. Since then, this possibility has been confirmed in almost all megalithic remains, as far as Egypt. Still, when their theories were originally aired, Thom and Hawkins were largely treated as parias in the scientific community. Thom and Hawkins were breaking the barrier that the megalithic civilization was indeed worthy of scientific study. Furthermore, they began to push the boundaries, making it older than Egypt and the rest of the Middle East. That did not go down well, and it was even more bizarre that one researcher who followed in their steps, Martin Brennan was not allowed to enter Ireland after he had climbed a fence to photograph a sunrise from a megalithic monument. Much less known, yet equally impressive, is the 20 year long study performed by Aubrey Burl, who finished his overview of hundreds if not thousands of megalithic monuments in Europe in the mid 1990s. His conclusion read that the first crude stone structures were created in the Lake District, north-western England. From there, they spread South, towards Wessex, Devon and Cornwall. From there, they reached south-western Ireland. Northern Ireland was “seeded” directly from the Lake District, as it was a short stretch of water that separated the two locations. As to their purpose, Burl was very careful, but did suggest that he felt they had a religious purpose, though a dual purpose, such as meeting place for tribes or between tribes, was most likely a secondary purpose of the sites. 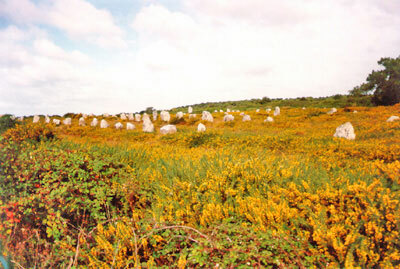 An important clue is that even though Brittany is well-known for its tremendous concentration of megalithic monuments, it is in the far less known region east of Paris, around the city of Sens, that the largest concentration can be found. As the area is largely urban and industrial and not a holiday destination like Brittany, few people are however aware of this fact. One person who did become intrigued by these stones was the Belgian historian Marcel Mestdagh. His area of expertise were the Viking invasions. He noted that the invasion pattern in western Europe seemed to follow a particular feature of the landscape that other researchers had been unable to identify. Mestdagh believed that this pattern had to do with the distribution of megaliths across the landscape. Furthermore, he noted that this pattern seemed to focus in on Sens, which was unique from a Viking perspective in the sense that the town was besieged, rather than sacked as all other towns. Aware that megaliths were often used by later people as border stones, Mestdagh wondered whether they might actually be markers along the roads. Since then, other researchers have come to the conclusion that many megalithic monuments were indeed situated along ancient roads. If the megaliths marked roads - and noting that the Vikings found a Europe that was largely rural, not urbanized, could it be that they followed this system, eventually ending up in Sens? If so, then it meant that all roads seemed to lead to Sens - which made sense, as, having the largest concentration of megaliths, it might thus be the capital. Furthermore, Sens was close to Paris, which in later years would become the capital of France. Where did the megalithic builders come from, and more importantly, where did they go to? Whereas the local European population at the time might have decided to just start erecting large stone monuments, the question is why they stopped - and whether they abandoned the regions they formerly inhabited. As they left no written sources, identifying these people by their language is impossible. Thomas O’Rahilly researched early Irish history and came across an ancient language that had words that were Indo-European. One of these dialects was the Hiberno-Brittany dialect, known as Ernbelre, the language of the Erainn. In The Secret Languages of Ireland, R.A. Stewart MacAlister noted how he came across a group of people in Liverpool, a group largely on the outskirts of society. They still spoke Ernbelre, in the beginning of the 20th century. He concluded that the megalithic people were still alive at the time of the Roman conquest. They were known as Ateconti (Aithech Tuatha, “for rent”), as they were used in the Roman legions. Later, the Irish would consider them to be lowest of all social classes. MacAlister noted that the group still lived as if they were a clan, marrying inside the clan, behaving in mysterious ways about their language, etc. Though their descendents may thus have lived onwards in Western Europe, what made them stop building with “large stones”? The megalithic civilization in Europe ended in ca. 1200 BC, roughly the time when Stonehenge was no longer extended. It times the end, but does not identify the cause. Perhaps foreign invaders came into Western Europe. Another option might be that the end of the megalithic civilization coincided with the onset of a Dark Age in Europe. It would last approx. half a millennium, when the Greek and Roman civilizations began to flourish. The onset of the Dark Age is also linked with the end of the Cretan civilization, which itself was linked to the eruption of the Santorini volcano. Might the massive eruption of this volcano have destroyed the Western economy? As both Crete and the Megalithic civilization were strongly relying on the sea as a means of communication, this may be the real cause for the end of the megalithic era: the downturn in the European economy meant that there was no more time or resource for a continued expansion of megalithic monuments, such as Stonehenge. However, the end of the civilization remains largely shrouded in mystery - and might remain for a while longer.